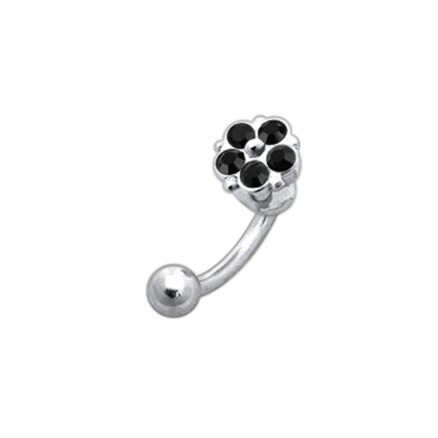 16gauge/8mm 316L surgical grade steel (or) Titanium curved bar with 3mm(or)4mm ball. Charm part is 925 Sterling Silver with Top Quality Stones. Item will be as shown on Picture only.